"We must encourage the development of agriculture through a variety of support programs." Prime Minister Volodymyr Groysman says Ukraine will carry out a land reform before until 2020. "We have clearly outlined our priorities in the 2017 budget law. We have sectors that have serious, lasting growth potential, including agriculture, which needs to be reformed," the premier said during a government meeting on Wednesday, 28 December. "We believe that by 2020 we will have to carry out a quality land reform in the interests of Ukrainian citizens and whole country. We need to encourage the development of agriculture through various support programs. Already in  we will support livestock, horticulture and agricultural mechanical engineering," the prime minister stressed. 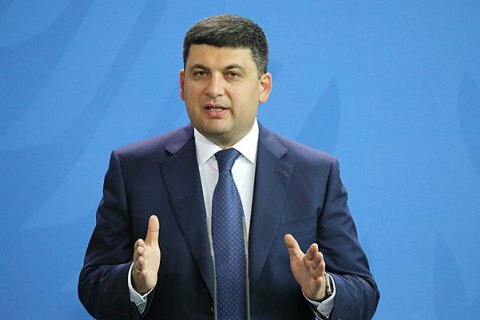 Groysman that the agricultural reform will help development of economy and create new jobs. In October, the Verkhovna Rada extended moratorium on the purchase and sale of agricultural land until January 1, 2018.